An Incredible Light Festival Is Popping Up In The Middle Of The NT Desert! Ready your weekender bags, and book a flight, pronto; Australia’s most beautiful light festival is popping up again! Parrtjima – A Festival in Light is returning to Alice Springs in September, and it’s going to be a FOMO-inducing sight for sore eyes! This free (not a typo!) public event is the only Indigenous light-meets-art festival of its kind. In an exhibition of stunning contrasts, contemporary works from celebrated Aboriginal artists will illuminate the MacDonnell Ranges—just a 300-million-year-old natural canvas, no biggie. 2018’s theme? ‘Cultural Freedom’—which could not be more globally topical if it tried. 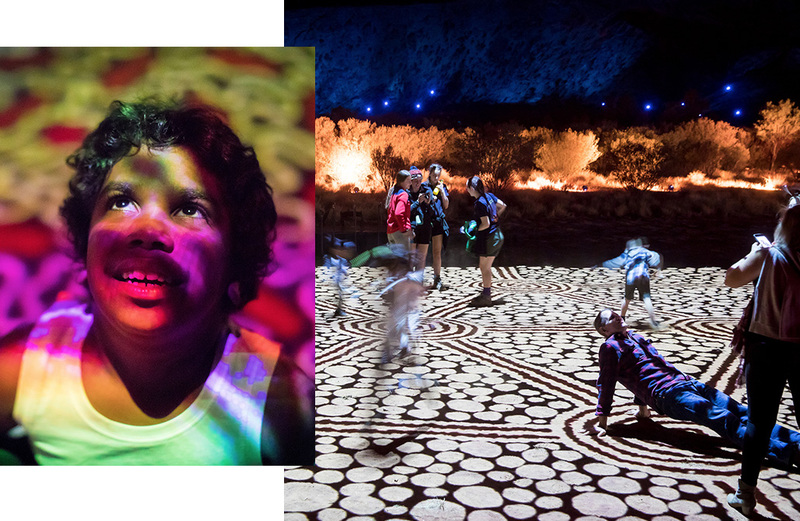 The name Parrtjima (pronounced ‘par-chee-ma’) was chosen to shine light on the beautiful Arrernte country, its people and their timeless culture. Naturally, this absolute gem of a festival will have five large scale light installations reflecting the cyclical patterns of the sun and the moon. Aboriginal artists’ practices may have evolved through new styles and materials for the modern age however the ancient philosophy of connection and country still pulses through their works. Each artwork will be a radiant reflection of the life and surrounding region, which is home to scenic gorges, cliffs, chasms, mountains and a rich cultural history (you may as well book a stay-cay right now!). Natural beauty meets art and the oldest continuous culture on earth, all set against a panoramic starry backdrop. Visitors can explore the installations and relax in the festival hub in the beautiful Alice Springs Desert Park from 6.30pm-10.30pm each night. Expect a picture perfect, illuminating experience.